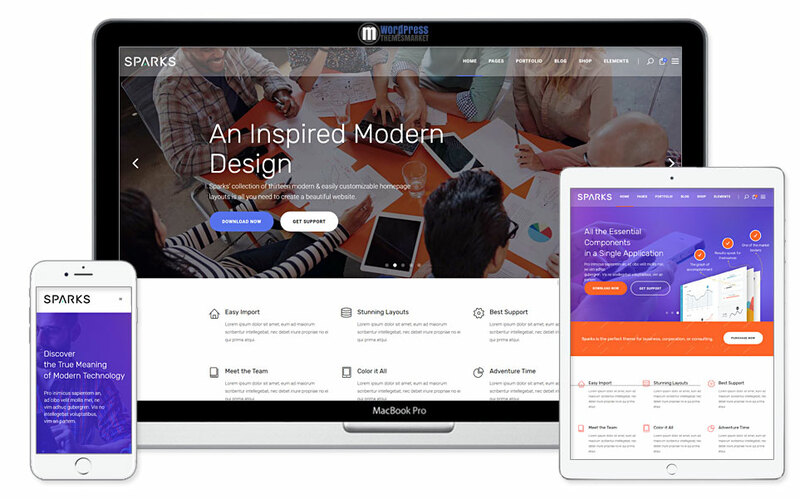 Sparks is a visually stylish and beautiful, uncluttered and intuitive, highly responsive Modern Theme for App Creators, Startups, and Digital Businesses. Perfectly suited for App Developers and Tech Businesess. This theme comes with 12+ homepages such as Digital Agency, Startup, Product Showcase, Tech Agency, Digital Media, App Presentation and many more. Also, this theme is compatible with WooCommerce and is WPML ready. Sparks theme includes rich features, such as fully responsive, amazing elements, free plugins and one-click demo installation. This theme is highly customizable and contains lots of features as I typed before. I can mention rich list of shortcodes, you can check the list right on Sparks Modern Theme for App Creators web. 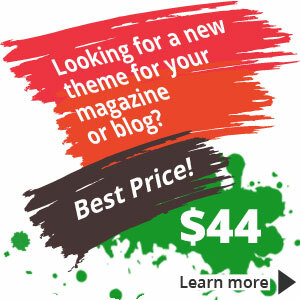 It also includes premium plugins Visual composer and Revolution slider.